Click the button below to add the Office Star Eco Leather Mid Back Managers Chair [EC3393] to your wish list. 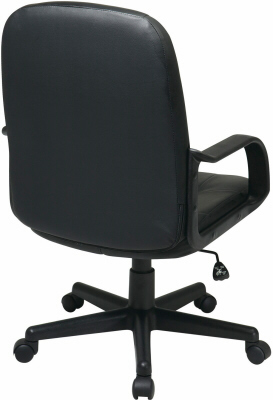 The EC3393 Mid Back Managers Chair, from Office Star Products, features soft yet durable Eco Leather upholstery. Eco-Leather is comprised of a faux leather finished surface area with recycled leather backing making it more durable than traditional vinyl's backed with cotton.